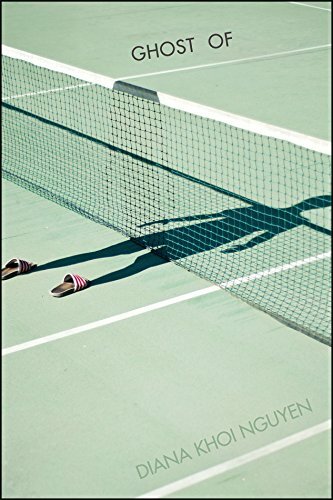 Born and raised in Los Angeles, Diana Khoi Nguyen is a multimedia artist and award-winning poet whose work has appeared widely in literary journals such as Poetry, American Poetry Review, Boston Review, PEN America, and The Iowa Review, among others. She recently won the 92Y's Discovery / Boston Review 2017 Poetry Contest and the Omnidawn Open Book Contest. She has also received awards, scholarships, and fellowships from the Academy of American Poets, Key West Literary Seminars, Bread Loaf Writers Conference, Provincetown Fine Arts Work Center, Community of Writers at Squaw Valley, and Bucknell University. Currently, she lives in Denver where she is a doctoral candidate in Creative Writing at the University of Denver. She teaches at the Lighthouse Writers Workshop and in the Daniels College of Business at the University of Denver. But not return to living. The structure of “The Exodus” imitates the bobbing motion of Nguyen’s “mother’s guised boat” and the precarious lull of emotions that follow the death of a loved one. She tries to stabilize the waves of sorrow in the recurring image “Triptych,” by repeating the mantra “it keeps me alive it keeps me alive it keeps me alive...” before shifting to part Two. I am glad that you are dead, I am glad that you are glad that you are I am glad that you are I am glad that you are I am glad that dead I am dead I am dead glad that you are glad dead glad that you are dead are you dead am I dead..
His skin against the fabric where he died / He tore himself free… And in the aftermath the brother simply—flourished. The trees simply—bloomed… What is the end of the world like—are we pennants in a gale murmuring amongst ourselves—Of mere being: cilia and sinew—tell me that what we lost as collateral is also a gift. Nguyen inserts mini-elegies to fill the face of her deceased brother without mythologizing his existence. In doing so, she reverses Oliver’s self-inflicted erasure by “draw[ing] inside the body” of his pictorial and physical absence, and ultimately makes “a nest in each hollow, each separate space.” Ghost Of juxtaposes the positive space of written words and the negative space of her brother’s photographic cavity and, in turn, forms both a personal and universal framework for the stages of grief. Nguyen’s poetry is a séance that resurrects the ghosts that dwell in all of us. Patricia Damocles is the Assistant Managing Editor for Jet Fuel Review who is majoring in English Language & Literature with a minor in Creative Writing. What she strives to achieve as a Jet Fuel editor is to give passionate, aspiring writers a platform to express themselves. As someone who has had the opportunity to be published in a previous issue, she is aware of how empowering it is to have her voice acknowledged in the world of literature. In her free time, she enjoys reading poetry and short stories, and also making memories with her friends, family, and cats.